India is a country of many religions, of which Sikhism is one of the most recent ones. This religion emerged under the tutelage of Guru Nanak sometime during the 15th century, which makes this religion only about 500 years old- which is really young when it comes to other religions across the world. It was during a time when the country was being torn apart by the issues of caste distinctions and sectarianism;this religion brought the message of peace. It said that there was only one true God or eternal being, and the purpose of every human is to become one with that energy. Even today when you visit any one of the gurudwaras you will often be greeted with a chant of “Ek OmKar,” which means that all creatures and humans are the creation of one Supreme Being, and we are, hence, all equal. Most of the places of Sikh pilgrimage that you will find here have an aura of peace and tranquillity around them. They keep the premises extremely clean and you too have to cautious about certain hygiene factors before going in. 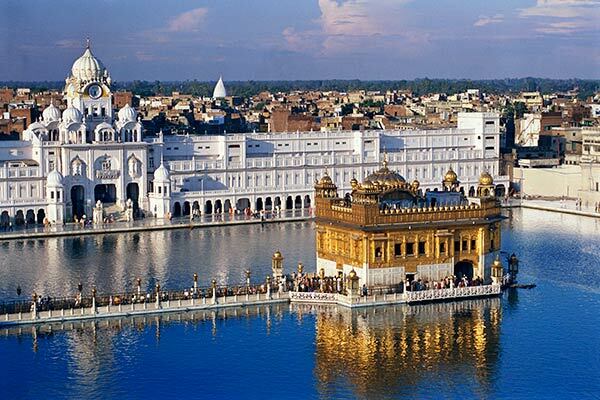 The Golden Temple: This Gurudwara,located in Amritsar, is one of the most popular places of Sikh pilgrimage. 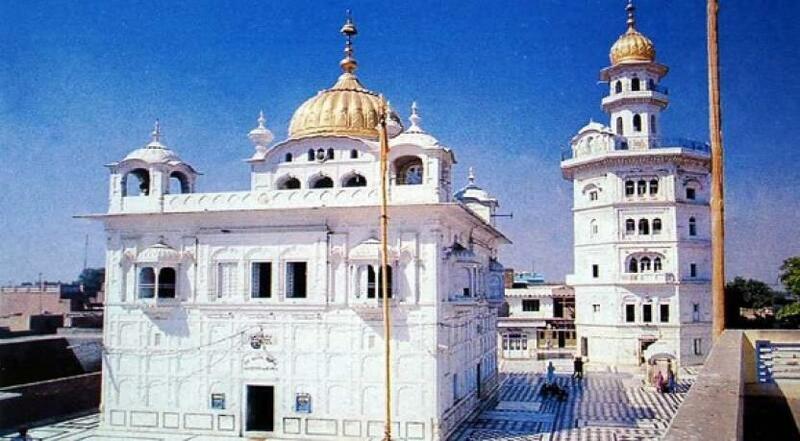 Guru Arjan, who is also said to be the first martyr of the Sikhs, erected this structure in the year 1574. Though the construction began in this year, this temple covered with almost 750kgs of gold was finally completed in the year 1604. The best part about this temple is the water that shines bright all around the entire structure. The ambience is a calming one where one can sit day after day meditatively and listen to the holy chants emanating from the walls. Anandpur Sahib:This city, located near Chandigarh, is one of the most significant places when it comes to Sikh pilgrimage in India. It is believed by many followers of this religion that this city is the place where Guru Gobind Ji had spent almost 25 years of his life spreading his knowledge and teachings amongst his most trusted disciples. 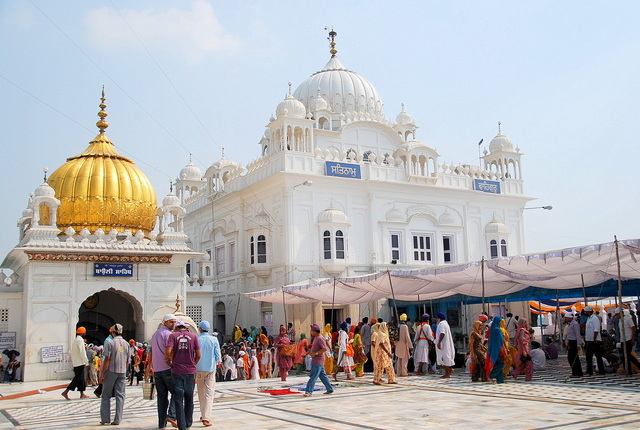 There are five important Gurudwarasthat are a must visit when you come to this city for pilgrimage- GurudwaraTakht Sri Kesgarh Sahib, Gurudwara Guru Ka Mahal,Gurudwara Sis Ganj Sahib, GurudwaraBhora Sahib and Gurudwara Akal Bunga Sahib. 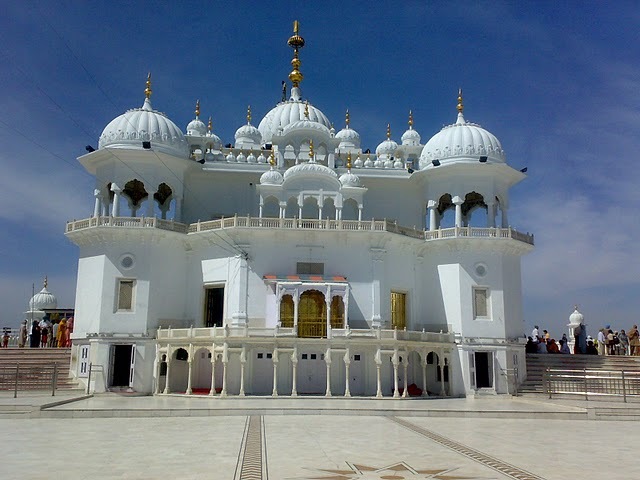 Takht Sri Harimandir Ji, Patna Sahib: As the name suggests, this revered location of Sikh pilgrimage is located in Patna. There are many reasons, which make this place one of the must-visits when it comes to Sikh pilgrimage. First and foremost, the 10th of all Sikh Gurus, Guru Gobind Singh was born here in the year 1666 AD. He is believed to have stayed here for at least 10 years before he had finally left for his next destination- Anandapur. Another reason that makes this place so popular is the fact that two other Sikh gurus- Guru Tegh Bahadur Ji and Guru Shri Nanak Dev Ji had both visited this place in their lifetime! TakhtSachkhand Sri HazurAbchalnagar Sahib: Located in Nanded in Maharashtra, this is one of the most important places of Sikh pilgrimage in India. This temple was constructed in the place where Guru Gobind Singh breathed his last. There are five takhts or thrones in this religion, and the Hazur Sahib is one of them. Hemkund Sahib:In the quaint Chamoli district of Uttarakhand lies one of the most revered places of Sikh pilgrimage- the Hemkund Sahib. The area where the worship is done is surrounded by beautiful snow covered peaks. Mention of the Hemkund Sahib is found even in the Ramayana! BachitraNatak, which is the biography of Guru Gobind Singh, also mentions this place. The Sikhs believe that if they do not visit this gurudwara at least once in their lives,then the entirespiritual journey that they have taken throughout their life has not been completed. Nestled cosily amongst the mountains, this place, is also revered for its beauty. Goindwal Sahib: Another very important and significant pilgrimage destination for the Sikhs in India is the Goindwal Sahib. Located on the banks of the river Beas, Goindwal emerged as an important centre for Sikhism when Guru Amar Das decided to stay here and preach for almost 33 years! It is located in the TaranTaran district in the state of Punjab, and there are a lot of places that you need to visit when you come to Goindwal like Sri Baoli Sahib, Sri Darbar Sahib, Guru Amar Das Niwas, Gurdwara Sri Chubara Sahib and many more. Paonta Sahib: Paonta Sahib, located in Himachal Pradesh, is believed to have been the home of Guru Gobind Singh, who was the tenth Sikh guru, for four years. The Guru has mentioned that this is one of the best places to compose poetry, and he used to, thus, sit here with 52 poets and compose poetry and indulge themselves in spiritual upliftment. This place, even today rings with the serenity and calmness that the Guru had sited ideal for a spiritual pursuit. Sirhind: There is a district called Fatehgarh Sahib in Punjab. 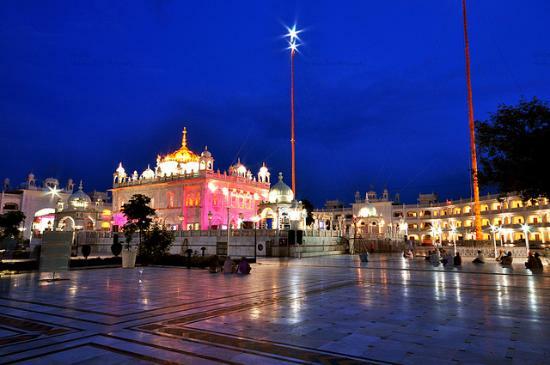 The Sirhind or the Fatehgarh Sahib is also one of the most important places of pilgrimage in India. This place is a testimony to the onslaught brought about by the Muslim invaders on the Sikhs. It was here where the two younger sons (aged 9 and 6 respectively) of Guru Gobind Singh Ji were bricked alive. It stands today as a symbol of courage and peace on the part of the Sikhs. Thus, you will find thousands of people coming out to visit Sirhind every year. Baba Bakala:This place is related to Guru Tegh Bahadur, who was the ninth in the line of all the Sikh Gurus. Baba Bakala is located in Punjab in the Amritsar district. The story of this place is very closely associated with how Guru Tegh Bahadur Singh came to become the ninth Sikh guru. It is believed that Harikrishan, who was the eighth Sikh Guru, had proclaimed in his death bed that his true successor would be found at Baba Bakala, and this had thrown the Sikh community into great chaos, which was ultimately solved when a merchant decided to test them and all finally realised that Guru Tegh Bahadur Singh is the one. All the pilgrimage centres of the Sikhs have one thing in common- calmness and tranquillity. If you really are in a spiritual pursuit in life, you should definitely make a trip to all these places.